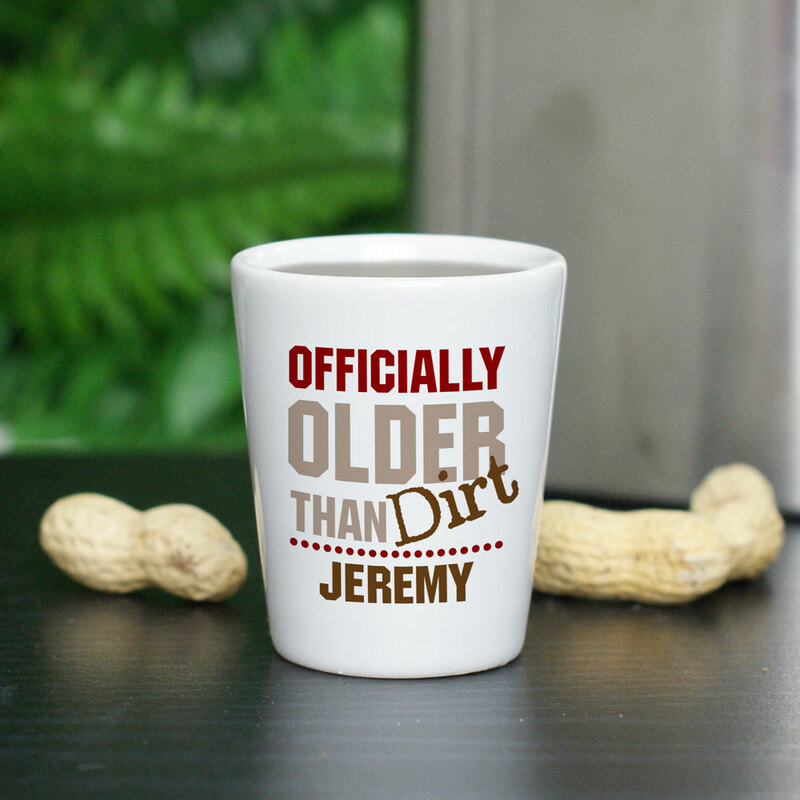 Personalized Officially Older Than Dirt Shot Glass is the perfect gag gift for your friends birthday this year! Our Birthday Shot Glass will be personalized with any name, free. Older Than Dirt Shot Glass makes a unique and funny gift for his or her birthday!